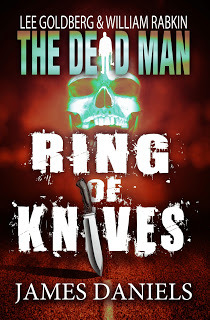 DEAD MAN #2: RING OF KNIVES out now! Matthew Cahill is an ordinary man leading a simple life until a shocking accident changes everything. Now he can see a nightmarish netherworld that nobody else does. Now for him each day is a journey into a dark world he knows nothing about, a quest for the answers to who he is and what he has become…and a fight to save us, and his soul, from the clutches of pure evil. Matt believes a madman may hold the secret to defeating Mr. Dark, the horrific jester with the rotting touch. But to reach him, Matt must infiltrate a lunatic asylum, where he is soon caught up in a spiral of bloodshed and madness. 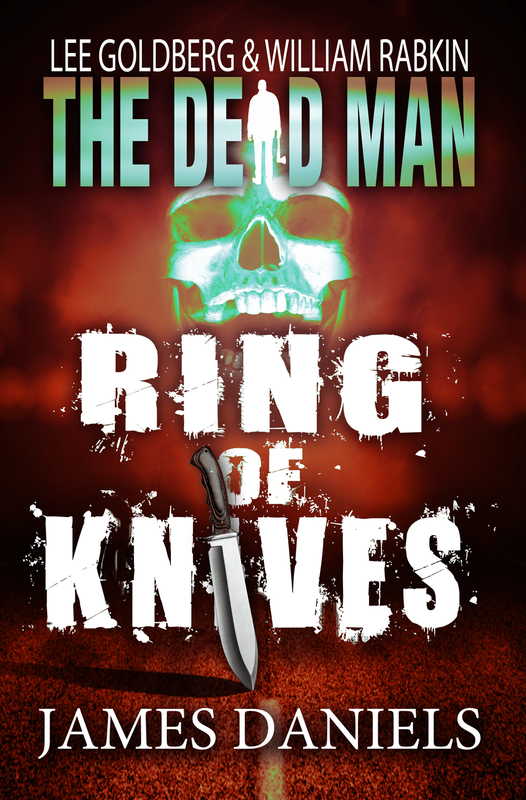 His only chance of escaping with his life and sanity intact is to face the unspeakable terror that awaits him deep in the asylum's fog-shrouded woods…within the Ring of Knives. * an excerpt from GHOST BRIDE, the new novel by James Daniels. This is James Daniels' first published novel! I first encountered James' writing several years ago through his brother Michael Daniels, who was a screenwriting student of mine at UCLA (and who has gone on to great success as a producer of ONE TREE HILL and VAMPIRE DIARIES). Michael asked me as a favor if I would look at his brother's book and offer him some advice. I was immediately struck by James' obvious talent and vivid prose. The problems with the book had more to do with focus and structure than with the writing itself. But I was so impressed with the writing, with his fully-realized and compelling characters, sharp dialog, and strong voice, that I recommended him to my literary agent, who worked with James for some time in an effort to get the book published. Although the book didn't see print, which is a damn shame, I remembered it with fondness and always kept my eye out for opportunities for him. When Bill Rabkin & I came up with THE DEAD MAN as a book series, we knew we wanted the roster of writers to be a mix of seasoned pros and exciting new voices…and James was the first name that came to mind. It's an enormous thrill for us to be the first to bring James into print and to introduce him to a wide audience. I have no doubt he's going to have a long and successful career as a novelist…he is too good not to. You can help…by snagging a copy of his first book today.